According to Switchbrew.org, these revisions effectively gutted the code used to launch the game. “Flog was stubbed: official code for launching it was removed from the home menu, and *all* code was overwritten with garbage. Thus, even attempts to launch it manually will result in loaderreturning error 0xA09,” reads revision notes published yesterday. “Flog,” or golf spelled backwards, was a portion of the Switch’s home menu codededicated emulating NES Golf when certain conditions were met. This part is isn't official I don't know anything about Japanese culture so correct it if you know this is wrong. I just saw this in a tweet I can't find anymore so there ya go. It's just a theory that I'm sure will be proven wrong when Nintendo relaunches it near his birthday or on some other important date. The whole reason they put it in there to begin with was to make a sort of charm that would make Iwata sort of watch over the system since he made Golf, and Switch was his baby. They removed it because apparently if people don't leave the charm alone it won't work properly. So Nintendo removed the ability to access it and encrypted the game so that nobody could use it. So Switch can’t run a 30? year old NES game? I'd be surprised if it could run Atari games tbh. We all know it's just a Zelda B̶o̶x̶ pad. According to Switchbrew.org, these revisions effectively gutted the code used to launch the game. “Flog was stubbed: official code for launching it was removed from the home menu, and *all* code was overwritten with garbage. Thus, even attempts to launch it manually will result in loaderreturning error 0xA09,” reads revision notes published yesterday. 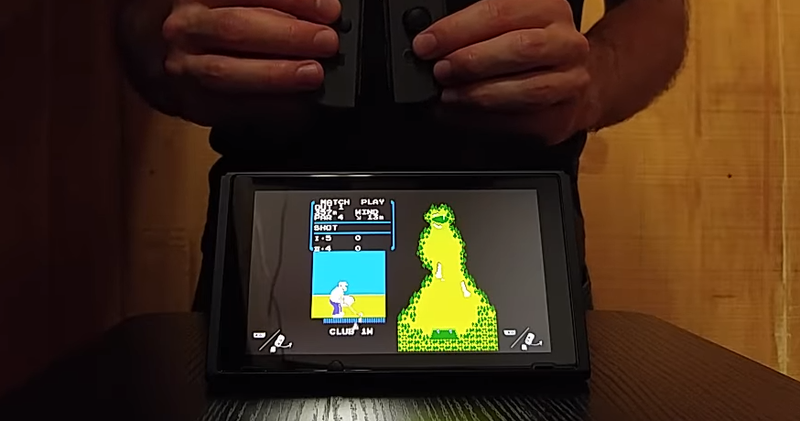 “Flog,” or new golf balls spelled backwards, was a portion of the Switch’s home menu codededicated emulating NES Golf when certain conditions were met.